A contemporary take on a clean timeless style. A modern Nixon Icon that celebrates our playful side with a mashup of retro electronics, simple, modern forms, and progressive maker culture. 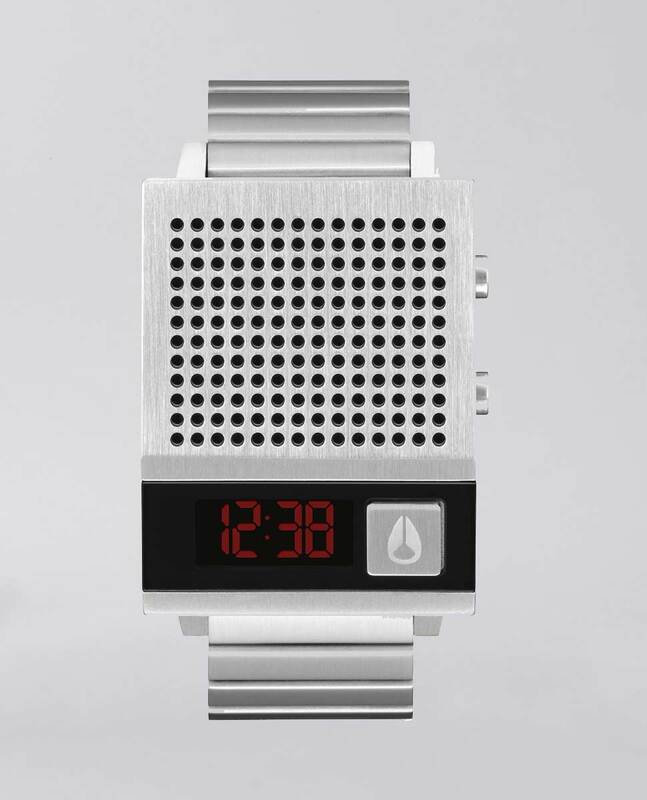 Watch Movement: Custom digital LCD module with speaker to dictate the time. Functions include time, date, alarm and EL backlight. Watch Dial: Custom LCD with edge to edge crystal. 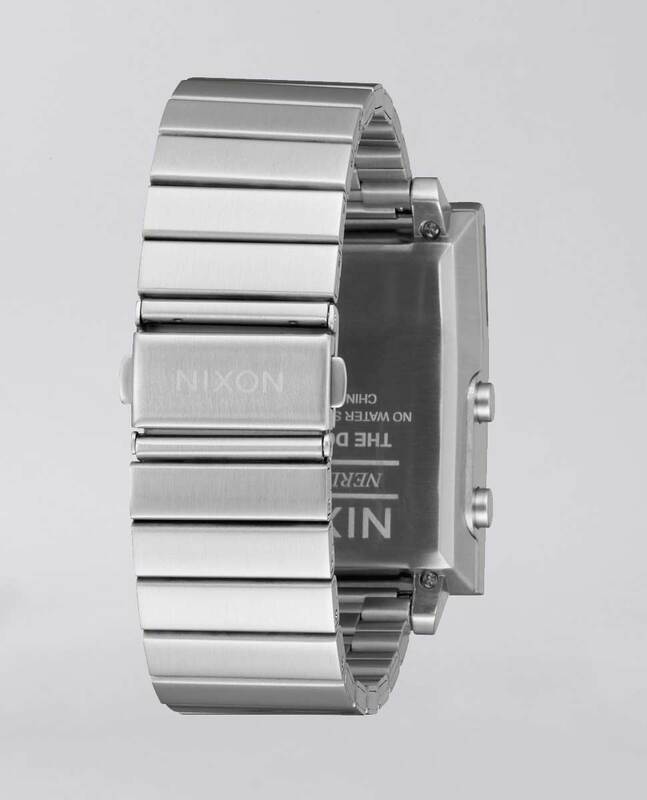 Watch Case: 34mm custom injection molded stainless steel case with perforated stainless steel speaker cover and pushers, with micro USB charging port. 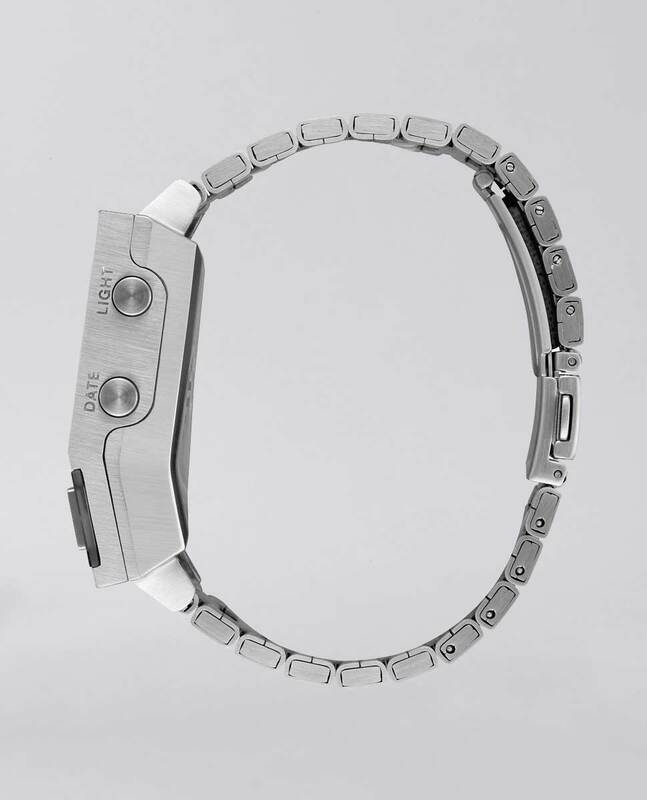 Watch Band: 21mm custom folded stainless steel single link bracelet with butterfly clasp closure.